at Claremont Showgrounds Exhibition Centre, Fri Nov 18th to Sun Nov 20th, 2011. 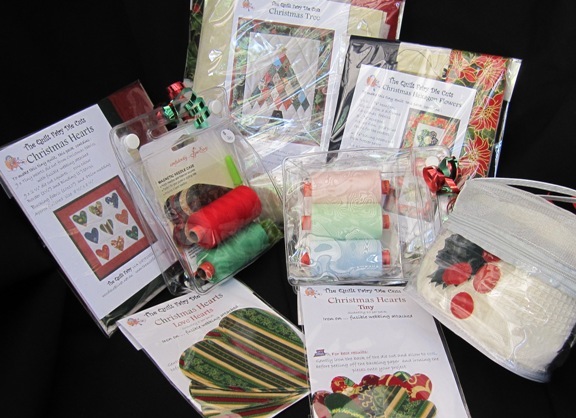 Come and see us at Stand Number C16 where we will have an assortment of Christmas gifts such as, Rasant Thread Gift Packs and ‘Quilt as You Go’ table centres. 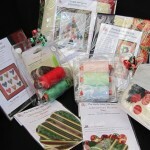 Also we have our Hexie Decs, Christmas tea-towels, Christmas wall hangings and Christmas Applique, plus our regular items such as English Piecing Papers, Cupcakes, Flowers, Leaves, Quilt Kits, Sewline Sewing Notions and our new Pattern and Paper Packs and Applique Owls.